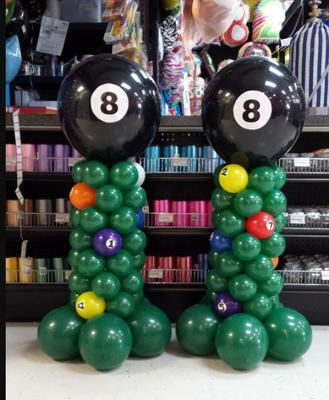 Hi, I want to make a Billiard balloon column as shown in the picture, but I'm not sure what size balloons the green balloons are. Also, how many balloons are in a cluster? It looks like more than four. I haven't made a balloon column before, so any ideas would be helpful. I found the image on Pinterest when I searched for Billiard themed party. I have a billiard banquet that I'm working on. I appreciate any help you can give me. Thank you so so much. Thanks for uploading an image of the design you're trying to make. That helps a lot in answering your questions. The column looks like they used 11 inch balloons for the bottom layer and 9 inch balloons for the main part of the column. And you're right that there are more than 4 balloons in one cluster. I think they used 6 balloons for their clusters. The bottom cluster (with the 11 inch balloons) may be only 5 balloons. You'd have to try and see how it looks best. Underinflating the balloons slightly is a good idea, Sandy. Many of the step-by-step instructions I checked do this. When you tie the balloons together for a 6 balloon cluster, it first looks as if one of the two 3 balloon clusters lays beneath the other one. 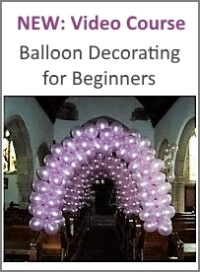 Only when you add the cluster to the pole, the upper balloons will fall into place among the lower balloons. 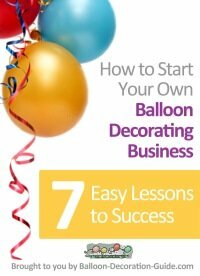 Take a look at pictures 5 and 6 on this balloon topiary article. "For the base cluster create 3 x 4" duplets using the double stuffed balloons, and carefully position these at the base of the design. 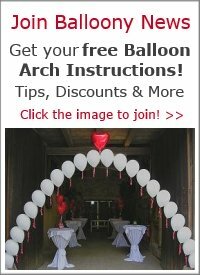 Each duplet is added by positioning a balloon either side of the pole and then the next duplet in the opposite direction so that they lock in position, the final duplet will slide in between the 4-balloon cluster that you have already created." I tried to do a five balloon cluster but it was hard to get them all to fit in one cluster. 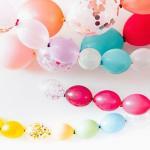 So I have not tried a six balloon cluster. Wondered if anyone has any suggestions. Do I not fill them so full with air, or should I use ribbon and not tie them so tight. Thank you for any suggestions anyone might have.